His real name is Akanishi Hitoshi, but he changed it when he became famous because he thought that "Hitoshi" was too common. 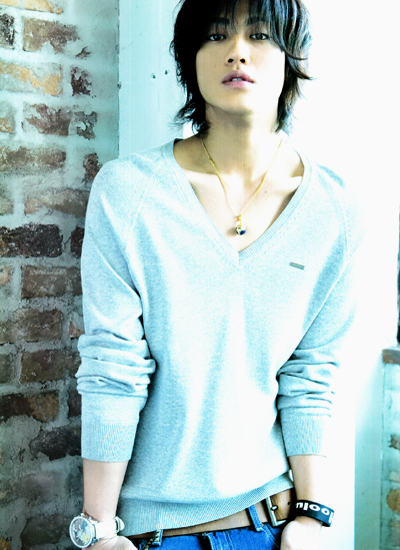 He has a little brother Akanishi Reio in a band called "D-Boys". When he was younger one of his family members pushed him overboard on a cruise, and he nearly drowned. 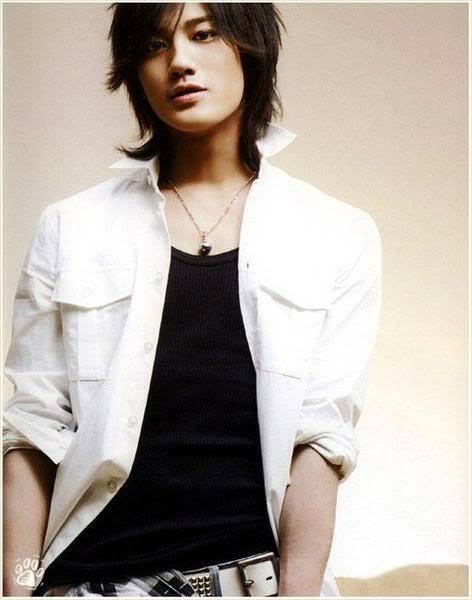 Some of his hobbies are: playing the guitar, writing songs, learning English, shopping and computer games. His type of girl is young, high-school age, plump but not fat, with common sense and nice lips, kind, one who doesn't dress "scandalously". He has a belly-button piercing and one or two ear piercings. He wanted to be an actor so that he could kiss lots of beautiful women. He has an obsession with America and England, and wants to try a homestay in one of the countries someday. He writes more of KAT-TUN's songs than people think - Ueda revealed that Jin doesn't take credit for a lot of the songs he makes. In his sleep he sometimes shouts out words in English (like "Stop!"). He is very ticklish on his collar-bone. He says that Yamashita Tomohisa (YamaPi) is his best friend, but Kame is the person he cares most about in the world. His first kiss was with the star of the drama "Anego" (the kiss scene in episode 2), for which he was so nervous that he cleaned his teeth before every take (and had to do about 19 takes).